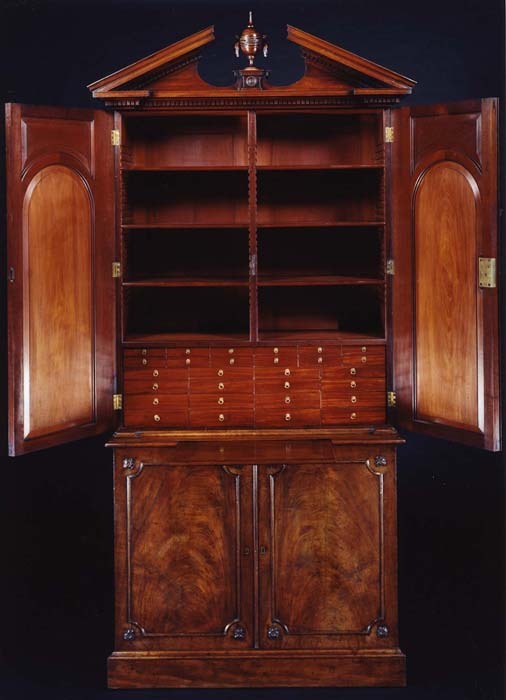 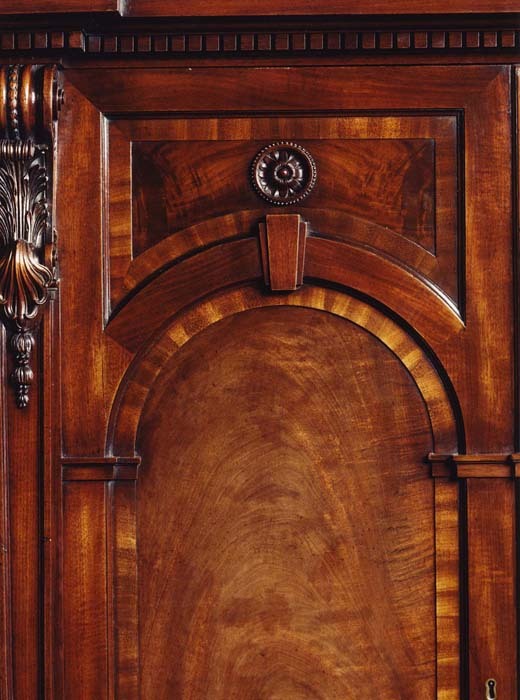 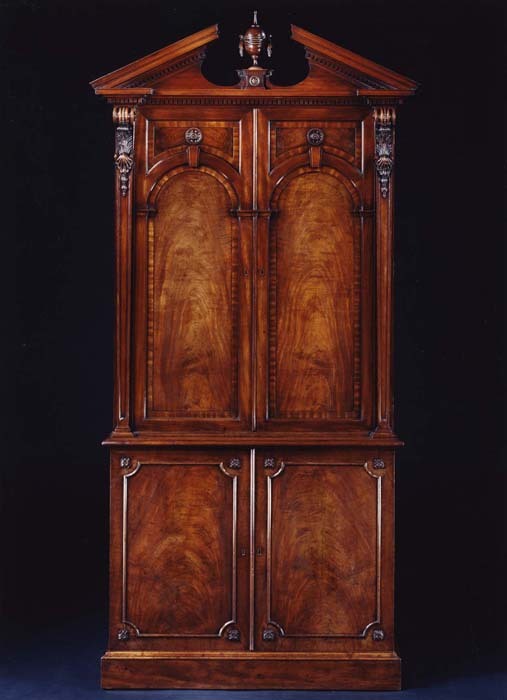 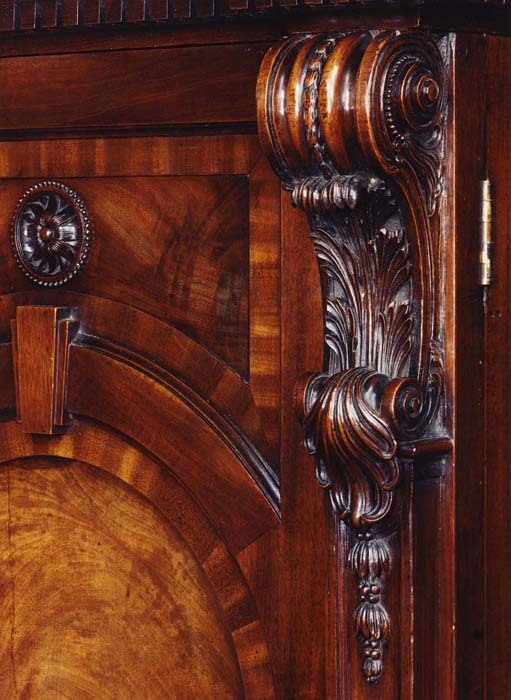 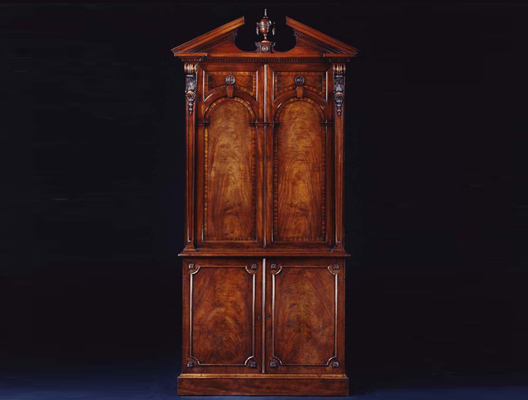 A MAGNIFICENT English George III period bookcase, the design in the manner of THOMAS CHIPPENDALE, the bookcase being executed in superbly figured and faded mahogany, the moulded and dentil ornamented broken pediment being centred by a shaped, moulded platform above a carved patera, the platform supporting a carved mahogany classical urn (replacement), the lower moulding of the pediment with dentil decoration, and surmounting two arched doors, flanked by scrolled, moulded and carved brackets, with husk carving over scrolled acanthus leaves and an anthemion with pendant berried husks surmounting tapering panelled pilasters, the tops of the doors with shaped crossbanded panels centred by a carved patera, and with further larger arched crossbanded fielded panels centred by keystones below, the doors opening to reveal the original mahogany sliding shelves above sixteen small mahogany lined drawers still retaining the original brass 'penny-drop' ring handles, the lower section having a small mahogany pull-out slide in the centre of the waist moulding above two doors inset with panels of 'flame-figured' mahogany, these panels set within carved shaped astragal mouldings, the curved corners of which being inset with carved flowerheads, the doors opening to reveal adjustable mahogany shelves, the bookcase supported on a moulded plinth. 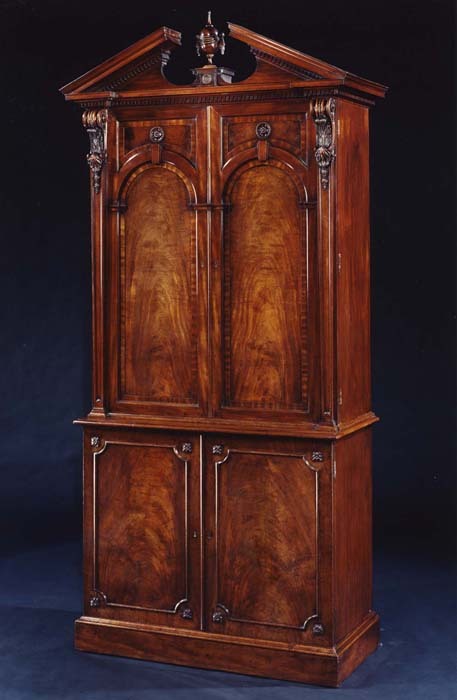 Height 98 3/4in (251cm). 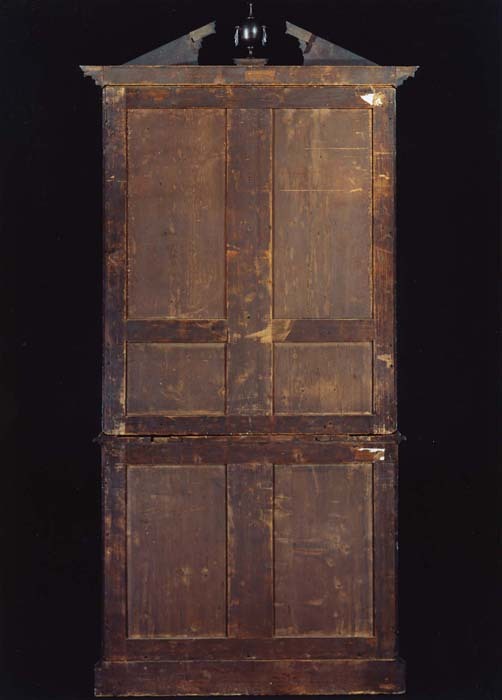 Width 47 1/2in (120.7cm). 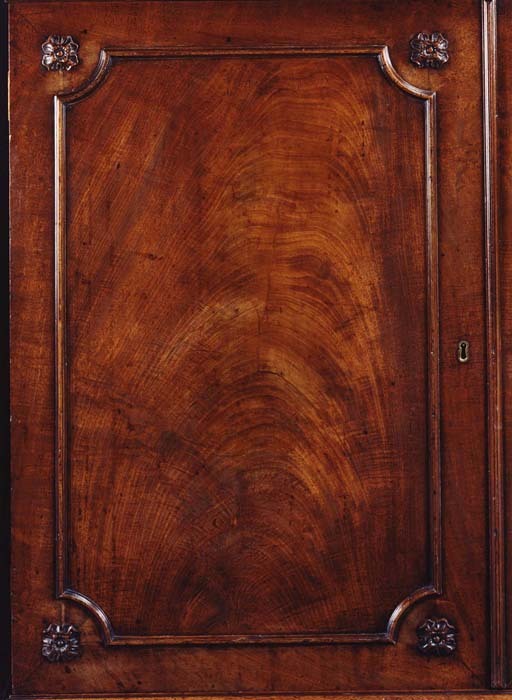 Depth 20in (50.8cm).